Frits – as bulb fanciers like to call them – have a charm and an allure that is hard to resist. 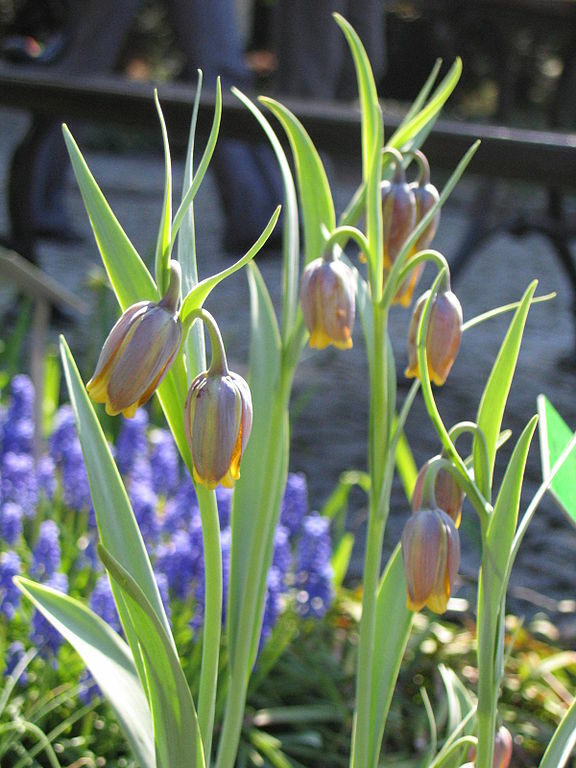 F. uva-vulpis, with the curve of its narrow stem and the droop of its chocolate-brown cloche, is as elegant as any, but, unlike many fritillaria , does not need to be mollycoddled. As long as the bulbs are not planted in cold, wet clay they will soon spread into large clumps. In pots they grow to just a few inches tall but once established in the ground they grow to about 30cm tall and flower during March and April. They grow best in well drained soil and prefers a sunny spot but will grow in shady places. This used to be called Fritillaria assyriaca and some places still sell it under this name. They are native to Iraq and Iran, so not much chance of seeing them growing in the wild.